Zipcon Staff, Student Union Staff, University of Akron, all our awesome Volunteers, our Guests, all our artists and dealers, and of course, all of the wonderful attendees! If you haven't heard yet, we now have our schedule! Unfortunately over the course of the past month or so, some of our guests have had to drop due to scheduling conflicts and personal reasons. But don't worry! We still have plenty of awesome guests coming to Zipcon this year! We hope to see you in 10 days!! The Anime Club of Erie, PA (who also hold Blurricon) have been kind enough to let us use their awesome retro arcade set up in our game room for Zipcon this year!! Be sure to stop by the game room and give them a huge thanks! There have been a couple small changes to our guest list. See if you can spot them! IMPORTANT!! Today is the last day to apply for either Artist Alley or Dealers Room!!! NOTE: Prices for Artist Alley and Dealers Room have been updated! The prices that were posted a few days ago were incorrect. Rules and Regulations have been updated for Artist Alley and Dealers Room vendors, you can find it under the vendors tab at the top of the page. You will find instructions on how to apply for a table within the rules and regulations. Panel submissions are also open! see the form under programming to apply. Hello! As many of you know, we had to turn people away from last Zipcon due to capacity limits. GOOD NEWS! We talked to the University, and now, so long as we get enough police officers, we can increase the number of people we can let in substantially! "Ohio Kimono started as a small personal hobby, and has since grown into something much larger than a humble hobby! In 2003 I started to collect kimono. In 2005 I decided I wanted to share my hobby and try and find others to share it with. From there I began sharing and hosting discussions about kimono. My first ever presentation was at the Sweet Shalom Tea Room in 2006. Along the way I have met many fantasic people, and have developed many long term friendships. When you see me at a convention, typically a few kimono friends are hanging around and chatting. 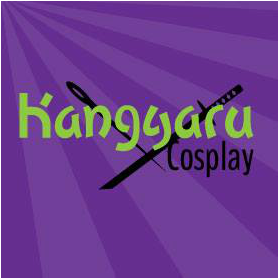 "Kangyaru Cosplay, the lovers of entertaining people, awesome cosplay, dance, and just a roo good time." A native of Akron, OH. Julie is a rising voice actress. Her most notable work includes "Phineas and Ferb" (additional voicing). She has also done a few fan made series of Cardcaptor Sakura (Kero) and Sailor Moon (Usagi Tsukino/Sailor Moon). 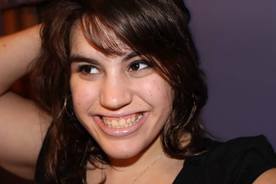 Most recently Julie starred in "Hairspray" as Tracy Turnblad at the Encore Theater in Western Ohio. Julie is an anime fan. Her favorites include: Sailor Moon, Cardcaptor Sakura, Tenchi Muyo, and Pokemon. She lives in Ohio with her husband, Andy and their 2 cats, Loki and Hobbes. 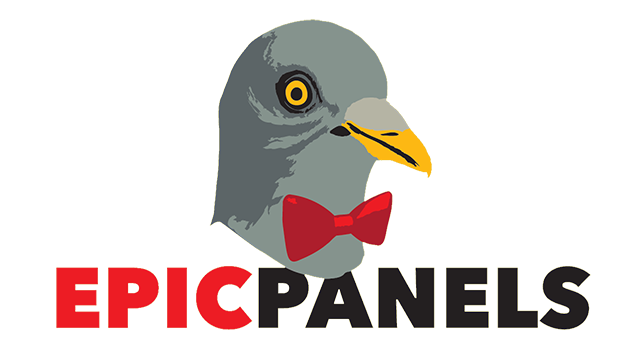 "EpicPanels is Ohio’s Premiere Panel Group. 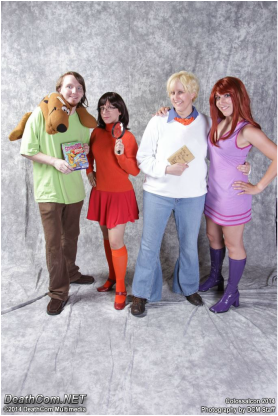 Founded in 2008 in Kent, OH this group of panelists have been presenting at numerous conventions over the years such as Ohayocon and Colossalcon. Since their inception EpicPanels has been bringing anime centric programming back into the convention scene. Known for their high energy and passion they bring to the panel room this group of anime fans are a sight to behold. Over the years they have continually challenged themselves, and inspired others, to produce better panels through their investments in quality panel interaction and community involvement. With the large number of successful and exciting panels they have brought to conventions in the last 6 years, be prepared to have an awesome experience as you witness the fun and highly entertaining programming that IS EpicPanels. You can check in with EpicsPanels at https://www.facebook.com/EpicPanels and soon at Epicpanels.com." Founded in 2010 as Team Con-Doc, Cosprovisation has regenerated from a previous incarnation into a fantastically out-of-this-world improv comedy group. With over ten years of cosplay and convention-going experience, these sages of the stage are here to bring whimsy and wonder to your eye holes. From Scooby Doo to Doctor Who and everything in-between, these comedians take pride in being nerds. "In the year 20XX, two being come together to form the ultimate rap duo: MC Cliff B and DJ Stuck Down A Mineshaft. Together, they rock the nerdcore hip-hop genre with their rhymes about video games, tabletop roleplaying, fatty foods, Jerry Seinfeld, public radio, weekdays, diseases, bleeps, bloops, etc. - Nerds know a lot about words. - Rappers must know a lot about words to succeed. - QED, nerds are the best rappers." Hey guys, I just want to say a HUGE thanks for making this a great convention. I also want to thank you all for being so understanding! we had a couple hiccups as a first time convention, and you all were amazing during the process of us finding out how to fix any and all issues that happened. Also, Those of you who got turned away due to us going over capacity (fire code issue), were very wonderful and understanding as well (hopefully next year we will get a bigger location :D ). I also LOVED all the great feedback we received during the con about what we did well on, and what we can do better in the future. Feel free to post any constructive feedback on our Facebook page, so we can do better next year for you guys. Being overall amazing to work with, getting all paperwork done in time, being all sorts of awesome during the con, and just keeping in touch in general. Having the courage to run a panel in the first place (it can be scary, especially if you've never done it before), turning in paperwork on time, showing up (we didn't have a SINGLE panelist not go to their panel), and just doing a great job at contributing to the con. Each of the officers showed up to work, on their day off, for Zipcon. Which is fantastic. They were all also very nice, fun to work with, and seemed to have a good time as well. Showing up at 5 am to help out, doing an amazing amount of preparation and work for OVER A YEAR in order to make this con happen, and just sticking with it till the end. As a staff member myself, I had a great time working with all of you, and can't wait for next year! Hey everybody! Only 2 days until Zipcon!! Hey everyone, as you have probably heard from our facebook page, we need you to fill out liability forms. you can do it at the con, but it's easier if you just print them and fill them out ahead of time. You can download the form from the files/forms tab. The Masquerade will accept last minute entries at the convention, just make sure you either talk to Yoko in Con-Ops before the screenings, or show up at the screening and say, "HEY! I wanna perform!" Masquerade registration is now open. Forms can be found on our Facebook page under the "files" tab. Registration will close January 25th, 2014. Artist Alley Registration is also open, and will remain so until November 22nd. All forms are available for download on our Facebook page. Unfortunately Cameron, our Head of Guest Relations stepped down from his position due to his busy schedule and high work load. Now, Alex Toothman, our Head of Live Programming, is taking up his position, so if you are a guest and have any questions, please contact her at alt60@zips.uakron.edu. Also a press release has been posted under the FAQ page as a result to a few complaints regarding our rules. We would like to remind all of our guests that this convention is run by an anime club with the help of the University of Akron, and therefore, we must abide by any and all rules that the University has set forth for us. One last thing, we'd also like to remind everyone that filling out a form/contract for anything with anyone's name other than your own and turning it in is ILLEGAL in the state of Ohio, and is considered to be forgery, unless that person was sitting down with you while you filled it out. All submissions for panels, artist alley, etc, are considered to be contracts, and will be treated as such. If you need to cancel a previous submission, it's OK, just email us and let us know at least two months before the convention. The latest you can cancel a submission for anything is December 30th, 2013. This is so that we can modify our schedule, program book, etc as needed before the convention. We now also have comic book writer, Mike Barr coming as a guest! Hey everyone, just letting you know, panel submissions will close Sunday, October 20th (three weeks from now). Our theme has officially been set to Outback! 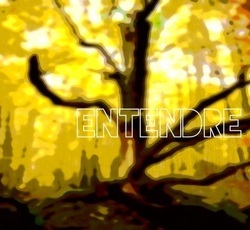 "Entendre is a critically acclaimed four piece alternative rock band based in Akron Ohio. Combining wailing guitars, with thunderous drums, chilling vocals, and a heavy dose of synthe, Entendre is a band that proves new ideas are still alive and well in the music industry. Concertgoers who have witnessed the group’s energetic live show have come to realize that Entendre is not just a band, it’s an experience! Currently the group is in studio working on their first ever EP tentatively titled “Enter the Reckoning.” It is being produced by Grammy nominated sound engineer Eric Emery. "I first started voice acting in 2007 at the age of sixteen and have been passionately in love with it ever since! Marika - Burn Your Fat With Me! "Barr's debut as a comics professional came in DC Comics' Detective Comics #444 (Dec. 1974-Jan. 1975), for which he wrote an 8-page back-up mystery feature starring the Elongated Man. Another Elongated Man story followed in Detective Comics #453 (Nov. 1975). He wrote text articles and editorial replies in letter columns for the next few years. By mid-1980 he was writing regularly for both DC and Marvel, including stories for Mystery in Space, Green Lantern, The Brave and the Bold, Marvel Team-Up, and a Spider-Man/Scarlet Witch team-up inMarvel Fanfare #6. Legion of Super-Heroes #277 (July 1981) saw him take on editorial duties at DC, a position he would hold until 1987. In December 1982, he and artist Brian Bolland began Camelot 3000, a 12 issue limited series that was one of DC Comics' first direct market projects. Barr and artist Trevor Von Eeden produced the first Green Arrow limited series in 1983. When the long running The Brave and the Bold series came to its conclusion with issue #200 (July 1983), it featured a preview of a new Batman series, Batman and the Outsiders by Barr and artist Jim Aparo, which would be described by DC Comics writer and executive Paul Levitz as being "a team series more fashionable to 1980s audiences." Barr wrote every issue of the original series, and its Baxter paper spinoff, The Outsiders. After the series cancellation in February 1988, it was revived in November 1993 by Barr and artist Paul Pelletier. 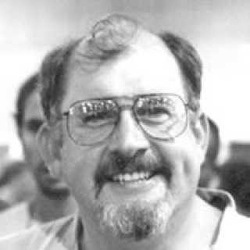 In 1987, he wrote Batman: Son of the Demon graphic novel which was drawn by Jerry Bingham, proceeds from which reputedly "restored DC Comics to first place in sales after fifteen years." This title, and Barr's work on Batman with artist Alan Davis have been cited byGrant Morrison as key inspirations for his own run on the Batman title. Barr wrote the "Batman: Year Two" storyline in Detective Comics #575-578 which followed up on Frank Miller's "Batman: Year One". 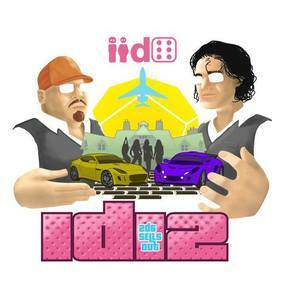 In 2007, he wrote a two-part story for the pages of DC's JLA: Classified (#47-48, Jan-Feb 2008), returned to the Outsiders with Outsiders: Five of a Kind—Katana/Shazam #1 (Oct. 2007), contributed to Tokyopop's Star Trek: The Manga, and relaunched Maze Agency at IDW Publishing. He has scripted many of Bongo Comics' The Simpsons titles, including a Christmas story for 2010.